Renowned professor, educator, and author of numerous ADHD books and clinical manuals, Dr. Russell Barkley talks about the mechanics and ideas behind many core ADHD concepts. 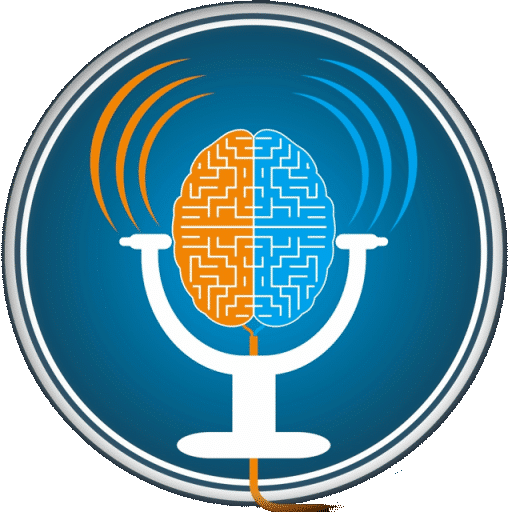 Ranging from executive functions, to neuroimaging, to public perception and more, Dr. Barkley shares knowledge from his extensive research and informed perspective on ADHD, breaking down its basic concepts in an understandable and approachable way. Clinical scientist, educator, and practitioner who has authored, co-authored, and co-edited over twenty books and clinical manuals. Has published over 200 scientific articles and books related to the nature, assessment, and treatment of ADHD and related disorders. Russell, trained as a neuropsychologist, found years of research signaling that the symptoms of ADHD were very similar to the symptoms of those with frontal lobe disorders, albeit milder. Many have continued to study the overlap between ADHD and frontal lobe functions and, in particular, executive functions. In surveying available research, Russell came across over twenty-five different definitions for “executive functioning”, which in turn creates problems assessing disorders if different people are working off of different definitions. In order to tackle this issue, Russell decided to focus on creating a concrete operational definition and began at a point where virtually all of the existing research agreed: self-regulation. Thus, executive functioning has to do with what one does to oneself. Self-regulation, or self-control, is any action one directs at oneself to change their behavior from what it automatically would have been, with the intent being to then affect change in their future. 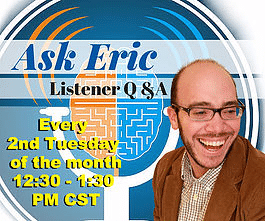 Eric: When I read that self-awareness was an executive function, it made a lot of other aspects of ADHD more understandable; if you’re not aware of what you’re doing and why you’re doing it, you can’t modify your behavior. With those seven functions as a framework, Barkley then turned toward what people are doing to themselves and used that to rephrase the ideas. According to Barkley’s model, and consistent with others’, people don’t attain their executive functions all at once – they’re developed in stages as they grow up. The first three that tend to develop together are self-awareness, self-restraint, and visual imagery (seeing to yourself). Within about five years, self-speech will then develop. The remaining functions, self-directed emotion, self-motivation, and planning and problem-solving, are forms of self-play. In other words, they’re derivatives of when people take apart new information and restructure it in their minds in order to invent new ideas, overcome obstacles, and create multiple options for themselves. If the executive functions developed early are impaired, as is the case with ADHD, the later ones are at risk of being as well. In, for instance, those with reading disorders, there is a certain level of executive functioning one needs to have by adulthood in order to be considered to be on a functional level – in the case of reading, that is usually somewhere around a sixth or seventh grade level. If people are able to attain a functional level of proficiency with their executive functions, they will at least function okay in normal life. Unfortunately, many with ADHD either don’t reach a functional level, only reach that level marginally, or do so erratically, which leads to problems. When compared to neuro-typical people, when neuroimaging studies are conducted across large groups of people, we can see numerous differences, particularly in five different areas. Within these regions, there has been observed anywhere from a five percent to a thirty-five percent difference in size. However, the overlap between the brains of those with ADHD and those without is sufficient enough to prevent the use of brain scans in diagnosis. The functional differences between the brains of those with ADHD and those without are so subtle that they’re not reliably visible on an individual basis – they can only be viewed through averaging results from testing large groups of people. It is for this reason that attempting to individually diagnose people via these brain scan methods will fail or provide false negatives approximately thirty-five to fifty percent of the time; thus, the devices cannot be used for clinical practice. Question: If ADHD is a developmental delay of the cortex, why do people not outgrow ADHD once their brains catch up developmentally? Answer: When the word “delay” is used here, it’s not to mean that the delay is temporary. Delays can be permanent, and can indicate development at a rate that is below the rate of typical people. Similar milestones may be met, but they will be met later, and one’s “ceiling” once development has ended, will be lower than that of a typical person. Executive functions become harder to spot individually as a person grows older. These five qualities are the parts of people’s daily lives that the executive functions contribute to and, thus what are disrupted by ADHD. Those with ADHD incur about a 30–40% delay in their time management and planning ability. In order to cope with it, those with ADHD have to focus on “scaffolding”: building structures around them to handle the timing, inhibitory, problem-solving, emotional, and motivational deficits. Those with ADHD have to create structures outside of themselves to manage what other people’s internal structures manage. Barkley: Part of the misinformation published to the public comes from fringe political and religious groups attacking psychiatry, mental health, diagnoses, and medication. On the other hand, part of the problem also stems from the public at large not having a great understanding of mental disorders. Some assume others misbehaving as a result of mental disorders are instead acting that way because of their upbringings, poor parenting, lacking schooling or education, and that the core reasons for that misbehavior lie outside of the person. People will then use that assumption as a foundation for thinking that these disorders either don’t really exist, or that solutions for their treatment can be found in parenting and education. In reality, ADHD has neuro-biological causes: genetics and neurologic foundations; upbringing plays no part in ADHD. After more than twenty-thousand studies, it’s evident we are dealing with a genetic and biological disorder. Eric: Having struggled with managing emotions as part of ADHD, I can see how much of a factor emotions might play into this scenario, despite the clear-cut data existing. Perhaps there are ways we can discuss this data that will make others respond to it more on an emotional level. Other disorders, like intellectual development disorders, autism, learning disorders, were also initially blamed on similar socially based causes before they were studied enough and found their way into the public consciousness. It took anywhere from ten to thirty years for many other disorders to attain public recognition and respect as biological disorders. However many of these other disorders had champions in the celebrity communities, spokespeople in the main-stream media, actors, athletes, and even TV shows where the disorders were woven into plotlines. Over time, they became normalized as neurobiological. Although ADHD has its spokespeople and celebrities, it’s ultimately going to take some time for it to fall into general acceptance. Barkley: We need to start calling out people out who are holding these misguided views. Barkley: There is a subset of people with attention problems that don’t appear to be in line with ADHD at all, but they’re still being categorized under the umbrella of ADHD. A term was coined in 1986 by Ben Lahey to describe this dimension of inattention: Sluggish Cognitive Tempo (SCT). SCT consists of staring, daydreaming, pensiveness, a sleepy sluggish appearance, being very inwardly preoccupied, etc. While ADHD is sometimes linked with conduct problems, substance abuse, anger, hostility, and aggression, SCT is more linked with depression and anxiety. Those with ADHD are usually very outspoken, talkative, and engaging. Those with SCT tend to be reticent, shy, reserved, and quiet. In the past five years, Dr. Barkley and others have conducted national surveys that document SCT being as prevalent as ADHD. Also, they realized both ADHD and SCT can exist at the same time in the same person. When combined, they are far more impairing than either one is by itself. The name, however, is not liked by many – it is pejorative. Barkley has proposed it be named Concentration Deficient Disorder (CDD). ADHD is a spectrum disorder, in that it can be mildly or severely impairing. Often, ADHD will be paired alongside other disorders. 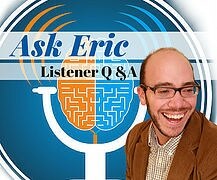 Dr. Barkley had a twin brother, Ron, who had severe ADHD alongside other learning disabilities. Though he was a very engaging, funny, talkative person, he was a poor student. At age sixteen he left school to pursue a career as a talented rock musician. Despite being tremendously creative and having relative success as a musician, he struggled with impulsiveness, risk-taking, poor organization, and emotions, which then lead to poor relationships with others. He would regularly speed, drive without a seatbelt, drink too much, and engage with drugs. In and out of treatment, Ron would sometimes willingly be treated and other times deny there were any problems before stopping treatment. Unfortunately, Ron died following a car accident during which he was speeding with no seatbelt. Barkley: This just illustrates the life-threatening nature that this disorder can have. This is a disorder that needs to be taken seriously. If you could either create a new invention or improve upon an existing one, what would it be? What animal freaks you out the most? If every meal you ate from now on had to be the same, what would you eat? 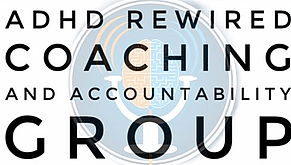 If you’re interested in being a part of the next ADHD reWired Coaching and Accountability Group, starting in June, visit CoachingReWired.com or call Eric at 224‒993‒9450.